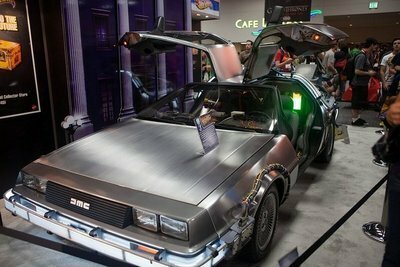 Unless you happen to have a DeLorian in the garage, you’ve only got so much time before the exams come around. So it makes sense to get the most out of your limited revision time and in order to do so, you need to make sure you are fully prepared before you even think about cracking open the books. No, this DOESN’T mean that you can spend half a day ensuring that all of your stationary is meticulously organised, or that you get to create that perfect revision playlist. 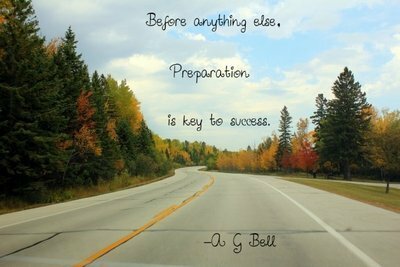 When we say prepare, we mean make sure that you make your A Level revision sessions as efficient and useful as possible. First off, make sure you have a space to yourself where you can study, free from distractions. If you find your house is too noisy, try finding a quiet corner of the library or study hall. Next, eliminate distractions. Phone off! I’ve known friends who surrendered their phones to a friend, on the understanding it was not to be returned until studying was over. Whilst a bit extreme, it did help them focus. If you study online, but keep getting distracted then an app like leechblock can let you block yourself from sites like facebook for a set time. Do you have one of these in the garage? No? Then revise! The next step is to get a list of essential dates. An essential date is a date on which something important happens or has to be completed by. So, whether it’s getting your coursework completed and authenticated or an exam date, you need to know exactly when this date is. We’re big fans of allowing an extra week or two, in the event that something comes up that pushes your timetable back. Exam dates can be found on the websites of the your course’s awarding body, whilst coursework dates should be checked with the centre that marks your coursework, as they may have an earlier hand in date than specified by the exam centre. Once you’ve got all of the dates in your list, then you can work out how much time you have remaining to study. Use this information to set out study sessions and allocate time to specific subjects and exams. Don’t just study the easy bits! You need to study the whole course, especially the tricky bits! Use the new planner feature in Oxford College’s Campus to plan out your study sessions and to remind you of how much time you have remaining before your exams. Student Services will also add events to remind you of key dates. Now we’ve got you studying, let’s not get caught up in staring at the book. Certainly, reading over your text book can help remind you of key details, but passive learning isn’t necessarily the best route. Try mixing up your learning by using a variety of methods – Flashcards, Quiz a friend, run through quick fire questions – don’t just sit and stare at your book!! Avoid stagnant revision practice to avoid getting stuck in the exam! You can find past papers and marking schemes to previous year exams on the exam board websites and it really is well worth downloading them to see how questions in previous years were structured. Firstly, read through the exam papers to see how they work, look at the types of questions asked and how many marks they are worth. 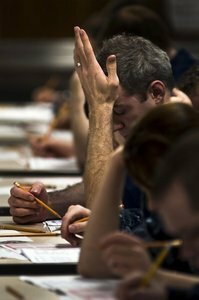 Working through the papers in exam conditions is excellent preparation for the exam and works well to get you used to writing under stress – making the exam easier. It also helps you get used to writing the correct amount for each question. You can also find the marking schemes online, so you can use these to mark your work. Don’t cheat here! If you’re unsure about awarding a point, err on the side of caution. Better to be tough on yourself and be pleasantly surprised on exams day than to be over generous and get a nasty shock! Additionally, you may want to look through the examiner guidance papers – these give you an insight into how examiners are instructed to mark question papers and list what examiners will be looking for, which you can use to help structure your approach to the exam. You may even find a question you’ve answered is repeated in this year’s exam! 5. Refresh, refuel and recharge. Refresh: Make sure you’re taking regular breaks to clear your head and make sure that you can keep focused. Taking a 5 min break every 30-30 mins is a really good idea, so use the time to stretch, take a quick walk or make a cup of tea. During your studies, try healthy snacks like blueberries or pumpkin seeds. Some students use snacks as a reward mechanism – see if this works for you. Recharge: Our last point could very well be our most important. Sleep is essential to learning and storing information. Scientists think that sleep is when our brains filter and organise information and a good night’s sleep is associated with superior memory retention. So don’t skimp on sleep – you’re more likely to benefit from an early night than a late night cramming session.